Do you feel as if you’re always working? Are you constantly checking work email, texts, or voicemail? 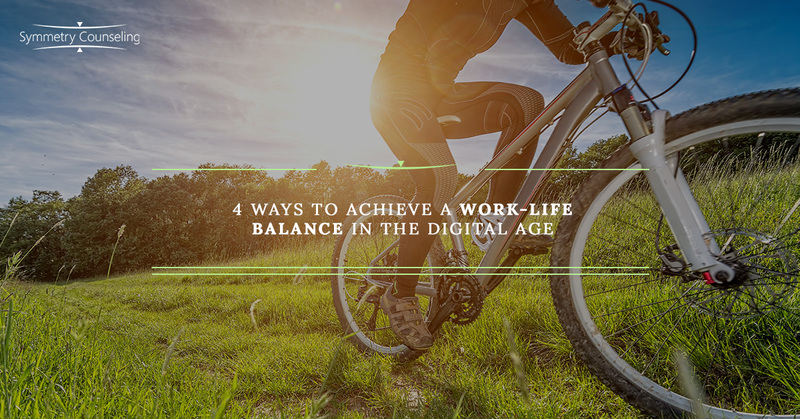 Technology can blur the lines between work and personal life, and a poor work-life balance can negatively affect your mood, health, and relationships. Know your expectations for after-hours response time. Not everyone is able to put work aside at the end of the workday. Some employees are required to respond to work emails, texts, and phone calls after-hours. What are your employer’s expectations for responding to messages after-hours? Are you required to respond in 24 hours or 12 hours? Is that expectation for business hours or regular hours? Are you required to provide a complete response, or do you simply need to communicate that you received the message and when you’ll reply? It’s important to know specifically what your employer expects of you. This can help to decrease confusion when you need to establish boundaries in order to promote a work-life balance. Schedule response times. If you are required and/or wish to respond to work messages after-hours, consider scheduling your response times. You may designate two specific times in the evening and at certain times on the weekends to check and respond to these messages. You might also schedule this time around certain activities, such as after your family’s dinner or before a trip to the gym. Limit response times to a reasonable number and try to honor that number. You might want to communicate these scheduled times to your employer so they are aware and you might feel less anxious about not responding immediately. The important thing to remember is that you have to stick to these scheduled times. Otherwise, you may feel tempted to constantly check and respond to work messages. Separate work and personal electronic devices. Picture this: It’s after work and you’re watching a funny video on your phone that a friend has sent. You’ve had a stressful day, but now you’re laughing and you start to feel relaxed. Then a notification appears on your phone blocking the video. It’s a work-related message. You can tell from the notification preview that the message isn’t urgent, but you start to feel anxious, so you close the video, check the message, and respond immediately. These types of situations make it difficult to maintain a work-life balance. Consider having separate electronic devices for work and personal life. This might decrease distractions and temptations to work while engaging in personal time. Take breaks. If you cannot separate your electronic devices, take small breaks by turning off the notifications for work messages on your phone or laptop when you’re engaging in personal time. This can help prevent distractions and temptations to immediately re-engage in work. Take longer breaks by designating times when you will not be available. For example, if you are taking a longer break, notify your employer that you will respond to all messages on the day you are back in the office. Also, leave an out-of-office reply on all messaging devices so everyone is aware when you will respond. A healthy work-life balance is necessary to support your mood, health, and relationships. To learn additional methods for creating a work-life balance, talk to one of our counselors by contacting Symmetry Counseling today.